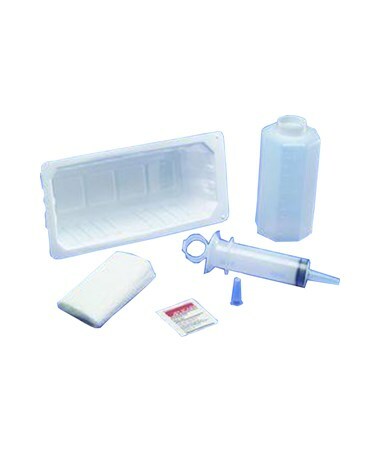 The Dover Irrigation Tray with Piston Syringe comes with all the components necessary for catheter irrigation. 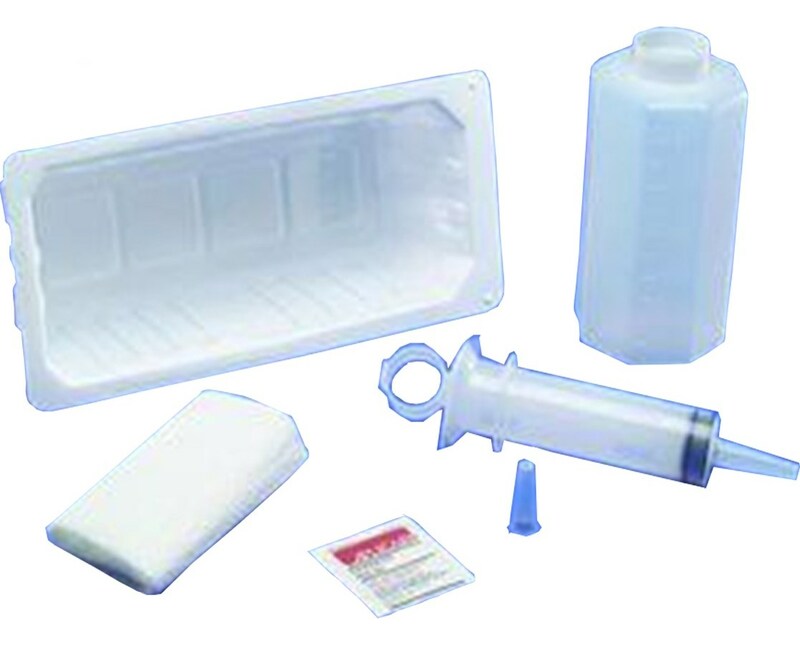 The tray is stocked with a 60cc piston syringe, 500cc graduated container, 1200cc irrigation tray with a lid, waterproof drape, and protector cap. Purchase right here online, simply press "add to cart" above!